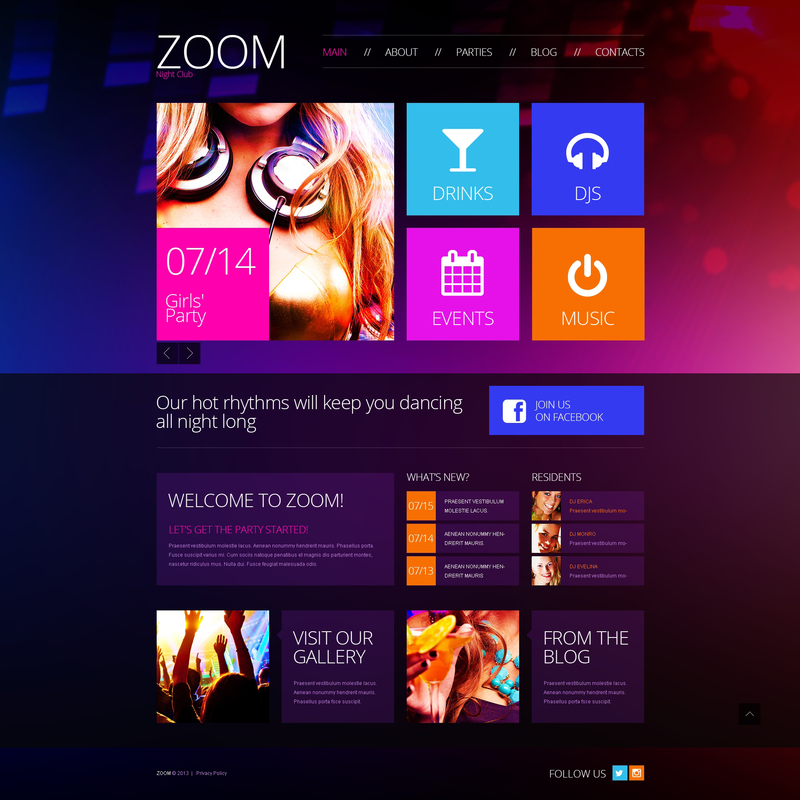 Add the vibe to the night club web presence with this effective modern design with cool mix of colors. Dark violet background with gradient and the lilac content blocks against it set the mood, bring the energetic tone to the design. The header grabs attention with cool slider and 4 image blocks with zoom effect that are also a part of the site navigation. Clicking each of them the viewers can learn more about the club this design is made for. This template was exactly what I needed. It was very simple to customize and add 3rd party plug-ins. The only thing I really need to do was just change a few CSS scripts to change text and upload a few pictures and it was Perfect. Thanks so much Templatemonster, you saved me countless of hours of work trying to do it all by myself. Installation worked like a charm. Sometimes I had to find my way but that&#039;s because I used Wordpress for the first time. With some help of the support team I got it up and running within a day! I use to by many template but more you search more you waste the time....buy from a Monster. Great, fast and easy to use. Accidentally hit purchase button twice and someone called to tell me they had reversed one of the payments. Great customer service! !